This is to draw your urgent attention towards the relevance of investigative report titled “Johnson & Johnson knew for decades that asbestos lurked in its Baby Powder” published on December, 14, 2018 for protecting the human rights of Indians. The investigation was conducted by Reuters, a 167 year old international news agency headquartered in London. This investigative report is consistent with the findings of a study by India’s Industrial Toxicology Research Centre (IITR), Lucknow, a constituent laboratory of Council of Scientific & Industrial Research (CSIR), Ministry of Science and Technology, Government of India on “Exposure risk to contaminants in pharmaceutical and cosmetic powders” has found that “There are different types of cosmetic powders such as body powder, baby powder, face powder, eye shadow and powdered blush as well as pharmaceutical powders available in the market. Both the sexes of all age groups are using these powders. These are talc - based. Talc is a mineral product and often contaminated with asbestos fibres.” It is significant that CDSCO’s official function includes banning “Drugs and Cosmetics”. In view of these scientific findings, I wish to draw your attention towards Schedule S of the Rules [read with Rule 150-A], Drugs and Cosmetics Rules, 1945, Drugs and Cosmetics Act, 1940 (last amended in 1995). Referring to Standards for cosmetics in finished form fixed by Bureau of Indian Standards (BIS) for “Skin Powders and Skin Powder for infants”, it is stated that these “cosmetics in finished form shall conform to the Indian Standards specifications laid down from time to time by the [Bureau of Indian Standards (BIS)]”. This standard covers two types of powder, namely, body powder and face powders. Body powders include products which are commonly known as talcum powders, dusting powders, toilet powders and deodorant powders. BIS issued has two separate revised Indian Standard (IS) notifications for Skin Powders and Skin Powder for Infants namely, IS 3959:2004 and IS 5339:2004. These standards were originally issued in 1966 and 1969 respectively. Both were first revised in 1978. The composition of the BIS’s Cosmetics Section Committee and SkinCare Products Subcommittee which finalized both the standards is quite revealing. Both the committees have Dr Prashant Abhvankar on behalf of Johnson & Johnson. In such a backdrop, it is startling that the Indian standards for the powders make no mention of asbestos mineral fiber although it does provide for determination of Arsenic, tests for heavy metals etc. Given the fact that it has been admitted in the notifications that “No stipulations have been made in this standard regarding composition of skin powders”, it emerges that the separateness of the composition of both the adult powders and infant powders is apparently a fiction for marketing purposes. It is important to note that both BIS notifications state that “it is necessary that the raw materials used are such that in the concentrations in which they would be present in the finished skin powder, after interaction with other raw materials used in the formulation, they are free from any harmful effects” but they confine themselves to dermatological safety. It underlines that “It shall be the responsibility of the manufacturers of skin powders to satisfy themselves of the dermatological safety of their formulation before releasing the product for sale.” They maintain a studied silence about harmful effects of the powder in question on lungs, ovary and other internal organs. A careful perusal of the relevant legal provisions, Indians Standards and IITR study reveals the glaring loophole in the existing legal provisions, given the fact that it has been conclusively been established in scientific and medical literature that Talc and asbestos co-exist and safe and controlled use of all kinds of asbestos is impossible. Talc, like asbestos, is a silicate mineral fiber that has been studied in relation to cancer risk. Talc refers to both mineral talc and industrial mineral products that are marketed under the name talc and contain proportions of mineral talc that range from about 35% to almost 100%. As it is soft to the touch and inert, talc has been valued for centuries as a body powder. Today, it also plays an important role in many cosmetic products, including products for feminine hygiene and baby powders, and provides the silkiness in blushes, powder compacts and eye shadows, the transparency of foundations and the sheen of beauty creams. In pharmaceutical products, talc is an important excipient that is used as a glidant, lubricant and diluent. Soap manufacturers also use talc to enhance the performance of skin care products. The use of body powder has been prevalent in infants and woman. The use of body powder for feminine hygiene has been studied. Body powder is applied perineally, on napkins or on underwear. Dusting of the perineum after bathing appears to be the most frequent single type of application, but simultaneous uses have also been reported. The exposure may occur as a result of storing a diaphram in body powder or contamination from the male partner who has used body powder. Talc is used as a surface lubricant on the majority of condoms manufactured; contact with condoms may also represent a direct means of exposure of the female genital tract to talc. 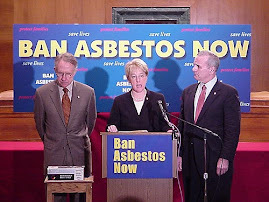 Given conclusive evidence about impossibility of safe and controlled use of all kinds of asbestos, it is indefensible that the Cosmetic, Toiletry, and Fragrances Association stated that all cosmetic talc should contain at least 90% platy talc (hydrated magnesium silicate) that is free from detectable amounts (<0 .5="" span="" style="mso-spacerun: yes;"> of fibrous, asbestos minerals under the voluntary guidelines it had initiated in 1976, Indian Standards remain so backward that it does not even make a mention of asbestos in its notification on Skin Powders. It has adopted Ostrich policy with regard to the grave health hazards from asbestos of all kinds. 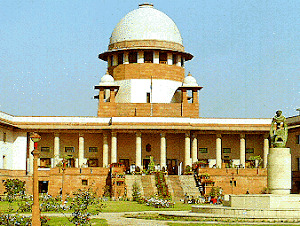 It is apparent that Indians Standards and legal provisions have remained blind to numerous possibilities of exposure. It emerges from it that health hazards from Talc is confined to skin powder alone. Studies have found the harmful effects of asbestos laden Talc powder. The aim of the IITR study “was to investigate the safety of such powders being sold in the market, initially by analyzing the asbestos content. Five branded samples of talcum powder were analysed and all were found contaminated with asbestos fibres. Asbestos fibre contamination in these powders ranged from 10.3 – 15.4%. Fibre length study on two samples revealed that asbestos fibres were 22.8 – 34.7%, 48.2 – 55.1% and 17.1 – 22.1% in the range of <10 10="" 20="" and="" m=""> 20µm, respectively. The study indicates risk of human exposure to asbestos through the use of naturally contaminated talcum powder. It is noteworthy that asbestos takes many years to cause asbestosis and carcinogenic malignancies which are irreversible. It also necessitates a regular monitoring and surveillance on all the cosmetic and pharmaceutical powders being marketed for asbestos contamination.” This has been published in the Annual Report Annual Report 2005-2006 of IITR. IITR is accredited by National Accreditation Board for Testing and Calibration Laboratories (NABL) for chemical and biological testing and is recognized for GLP (Good Laboratory Practice) toxicity testing. The investigation by Reuters corroborates the findings of IITR. This recent investigation was undertaken in the wake of three verdicts in New Jersey, California and St. Louis awarding compensation to plaintiffs who blamed asbestos-tainted Johnson & Johnson talc products for their mesothelioma, a type of cancer that develops from the thin layer of tissue that covers many of the internal organs. 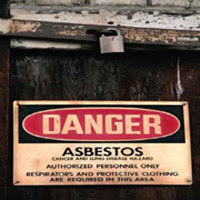 The connection between asbestos exposure and mesothelioma was discovered in the 1970s. The third verdict was a watershed in in St. Louis: The 22 plaintiffs were the first to succeed with a claim that asbestos-tainted Baby Powder and Shower to Shower talc, a longtime brand the company sold in 2012 that caused ovarian cancer, which is much more common than mesothelioma. The jury awarded them $4.69 billion in damages. Most of the talc cases have been brought by women with ovarian cancer who say they regularly used Johnson and Johnson talc products as a perineal antiperspirant and deodorant. The inclusion of ovarian cancer besides mesothelioma has broadened the potential liability of Johnson & Johnson, a 132 year old multinational medical devices, pharmaceutical and consumer packaged goods manufacturing company headquartered in New Brunswick, New Jersey, USA. Earlier, British Medical Journal (BMJ) published an article titled “Jury awards $4.7bn damages against Johnson & Johnson in talcum cancer case” published in the renowned British Medical Journal (BMJ). As per BMJ’s article, “More than 9000 former US talcum customers have lodged suits against the company. Most claim damages for ovarian cancer, but some allege that using the product led them to develop mesothelioma. The award is by far the biggest yet against Johnson and Johnson in litigation relating to talcum powder and the first case in which plaintiffs alleged that asbestos in talcum powder caused their disease. The verdict was handed down in the Circuit Court of the City of St. Louis. I submit that this investigative report is of deep relevance for the public health of present and future generation of Indians given the fact that Johnson & Johnson company has admittedly been in India for last 70 years. The company has brought many products in consumer healthcare, medical devices and pharmaceuticals. In 1947, Johnson & Johnson expanded into India, marketing Johnson’s Baby Powder. In September 1957, Johnson & Johnson incorporated as a legal entity in India. The production in its first manufacturing facility began in 1959 at the Johnson & Johnson India plant in Mulund, Mumbai, for Johnson’s Baby Powder and other specialized products. In 1968, the company introduces the Stayfree brand to India. A situation emerged wherein Johnson & Johnson reached almost every household in India. The Reuters investigative report refers to the findings of Dr. Irving J. Selikoff who had conclusively established a link between the inhalation of asbestos particles and lung-related ailments in the 1960s itself that paved the way for ban on asbestos of all kinds in some 60 countries. 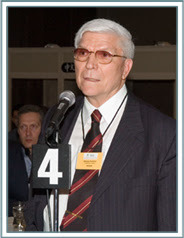 Dr. Selikoff was the director of the Environmental and Occupational Health Division of Mount Sinai Hospital in New York. It is significant that Ms Lisa Girion of Reuters has shared the official documents on the basis of which she has made these startling claims in her investigative report. I wish to point out that in a Terms of Reference dated October 25, 2010 issued by Union Environment & Forests Ministry for a proposed Asbestos cement sheet and accessories manufacturing unit of 1,80,000 Tonnes Per Annum capacity at Narsimharaopalem Village, Veerulupadu Tehsil, Krishna District, Andhra Pradesh by M/s Sahyadri Industries Limited made reference to "talc and chrysotile”. Prior to the Reuters report, a 2014 paper published in the International Journal of Occupational and Environmental Health titled "Asbestos in commercial cosmetic talcum powder as a cause of mesothelioma in women" by Ronald E Gordon et al concluded "we found that a specific brand of talcum powder contained identifiable asbestos fibers with the potential to be released into the air and inhaled during normal personal talcum powder application. We also found that asbestos fibers consistent with those found in the same cosmetic talc product were present in the lungs and lymph node tissues of a woman who used this brand of talc powder and developed and died from mesothelioma. This study was published in October 2014. This investigation by Reuters reveals that “Johnson & Johnson developed a strategy in the 1970s to deal with a growing volume of research showing that talc miners had elevated rates of lung disease and cancer: Promote the positive, challenge the negative. That approach was summed up by a J&J applied research director in a “strictly confidential” March 3, 1975, memo to managers of the baby products division, which used the talc in J&J’s signature Baby Powder. Its approach reads: “Our current posture with respect to the sponsorship of talc safety studies has been to initiate studies only as dictated by confrontation,” the memo said. “This philosophy, so far, has allowed us to neutralize or hold in check data already generated by investigators who question the safety of talc.” It reveals that scientific ghostwriters have been hired for long to hide evidence of “cancer concern associated with exposure to talc.” Based on an Italian study, one such ghost authored article that appeared in the Journal of Occupational and Environmental Medicine, in 1976 found no mesothelioma, the signature cancer of asbestos exposure. 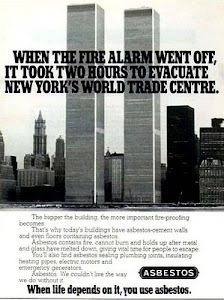 The Italian study in question has been updated three times – in 1979, 2003 and 2017 – “confirming the lack of association between exposure to asbestos-free talc, lung cancer and mesothelioma.” The investigative underlines that Johnson & Johnson got a lot of mileage out of the study. It was cited in a review article titled “The Biology of Talc,” published Nov. 1, 1976, in the British Journal of Industrial Medicine. In addition to dozens of published studies, the review cited unpublished research, including one experiment that used a doll as a proxy for infants and that supported the company’s position on the safety of talc. It didn’t disclose that Johnson & Johnson had commissioned the unpublished research. The author of the review article concluded that the “concern that has been expressed about the possible health hazard from consumer exposure to cosmetic talc is unwarranted … There is no evidence that its normal use poses a hazard to health.” The author was Hildick-Smith, the Johnson & Johnson physician executive who had overseen the Italian study and played a key role in the company’s talc safety research. The article did not disclose his Johnson & Johnson connection, identifying him only as a Rutgers University Clinical Assistant Professor of Pediatrics. In a related event I submit that I was a panelist at a Round Table Conference on Issues Related to Asbestos Use in India held at India International Centre, New Delhi on December 21, 2009, wherein Dr Iqbal Ahmad, a scientist from IITR, Lucknow said that there are many different sources of asbestos exposures which need to be looked at. He identified talc (powder) as a major source which has asbestos contamination and exposes a large section of population, especially children and women. Talc is used in several industries as raw material. He said that we do have numbers of talc based cosmetic powders in India. China is the largest producer of talc. Some 47 companies which used to procure Chinese talc powder had to recently withdraw their product from market in South Korea due to high asbestos contamination. In view of the above, I seek your urgent intervention to ensure complete stoppage of ongoing exposure of Indians to carcinogenic asbestos fibers contaminated Talc powder of Johnson & Johnson and other companies in India.